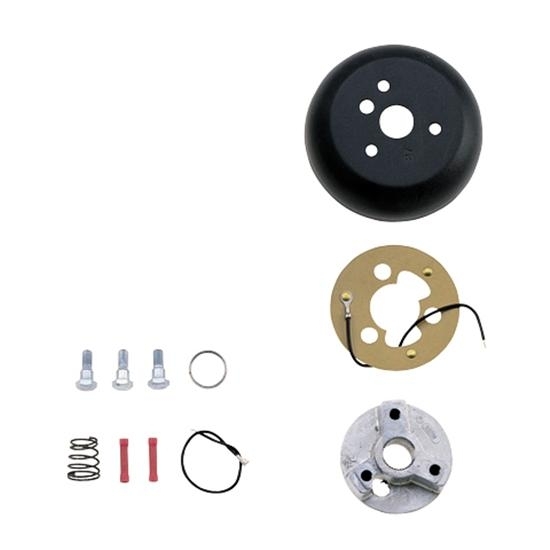 This is the standard Grant steering wheel installation kit for Ford steering columns. These kits may be used to install all Classic Series, Challenger Series or Signature Series steering wheels. Each kit contains complete step-by-step instructions, a die cast hub, Grade 5 hardware and matte black trim pieces.